Good morning beloved! My mother has a problem: compulsory accumulation. Before I wrote to them, I doubted whether I was sure to look for them to better understand this situation that surrounds me. Certainly, my mother is the most affected, after all, she tortured herself with this psychological problem. I live with her, however, I make an effort not to affect myself emotionally when I see the situation every day. I love keeping everything clean and, fortunately, I'm learning to clean. So, there are two things in a question. First, why is it so difficult to her to get rid of everything that does not suit her? I believe that the mess does not please my mother, but she complies with this emotional problem and does not seek to solve it effectively. There is a lot of resistance. And according to what in me is reflecting this mess? Sometime ago, I began to practice gratitude and love, always harmonizing my thoughts and feelings, trying does not get emotionally involved with this problem, however, I detest accumulation of useless things that, in addition to dirty the house, there is accumulation of unnecessary energies. What can I do to help my mother overcome this resistance, as well as get rid of this situation forever? I love you all and thank you so much for always being with me. Gratitude. I bring the word in the form of truth, which you do not want to hear, but which is presented clearly in your eyes. Each one of them, within their history and the learning they have come to seek, have certain challenges that, seen with physical eyes, are perceived as different, but that in fact will only be solved with the same remedy. And the remedy, daughter, efficient for both your mother and you, is the search for the encounter with your inner truth. Your mother has sought to live true within herself, regardless of what surrounds her. She is showing you the example of how to live within a materialized reality of imbalance in the environment, but in inner peace. You, observing what happens with this, can also seek to look within yourself and find your peace, regardless of the environment that is inserted. The whole world, if observed with the eyes of matter, is in fact perceived as a great accumulation of information and material goods unnecessary to the evolution of Being. The challenge is precisely to live within that experience and this means, but connected with your own inner truth. For the encounter with its truth manifests another reality in the external world. See your home as a miniature version of the world and the thoughts that populate people's minds. And find your truth there, for it will be ready to bring about transformations on the planet as well. I wonder when my situation will improve. Both financial and romantic. If I won the lottery I would open a cafeteria, where 90% of employees would be challenged either by development or intellectually, like me (I have autism). I have someone helping me with the lottery stuff. I would love to hear what Miguel and Uriel have to say about it, as well as with Faith and Haniel. Thank you for all your help. Hi, my dear sister. You would like to know how your life could take a turn, so that you actually reach your state of happiness. The view you have is restricted from the material world, and only makes it possible to materialize this possibility, when you win the lottery. But the exercise here is precisely to learn to materialize your reality from your faith. And I come here to show you that it can indeed materialize your dream, and that this would make you and so many people happier, but for this you should only learn to listen to your heart and nourish your faith. The possibility that you see winning the lottery as a way to achieve your dream, keeps you with your thinking trapped within the restricted possibilities of the material world. But I tell you: your dream will only happen when you stop thinking about how it should be built, but begin to silence to hear the path that your intuition will bring. You, my dear, among many, are special because you have a deeper and more direct connection with your intuition, and receive all the coordinates so that your dream becomes reality. But I tell you it will not be through the lottery. And in a way that could not be imagined and created by the material mind. And yes only received through intuition. So, dear, show your gifts. Let your intuition emerge. And soon you will come back to tell us about your dream come true. IF I WORK AS A THERAPIST SHALL I REACH FINANCIAL ABUNDANCE? Dear Masters! During 16 years I work as a medium, before in a spiritual center and today in a house of apometry. In recent years I have received many blessings, but I have not yet achieved what I lack, which is financial stability. I have worked hard to make this situation change, I have in me the certainty that I will succeed, but I feel that something is still missing that I have not yet realized for that to happen. I know the universe has sent me messages that I have not yet been able to tune into. I have my job, but I feel the need to do something more, I am in the awakening in the pursuit of my purpose, I did this year a theta healing course that has helped me a lot to grow as a person, but I do not have the vision of the third eye which makes it very difficult for me to develop a job as a therapist. Teachers, what should I do to improve my financial situation and will I be able to work as a therapist or should I only develop my spiritual growth? Daughter, your preparation as a medium and your search for spiritual growth, are always linked to the professional life and to all your manifestation as incarnated being. The ultimate goal, my daughter, of all of you is to reach the point where you can unite all aspects, all your personalities and manifestations in only one, which is not your character of work, nor the psychic personality and therapist, but a new Being devoid of any of these identities, which is the encounter with your essence I Am. There will come a time when you will realize that there is no longer a way to separate your life into parts, into identities, but there is the opportunity to unite everything into one. Abundance, daughter, comes in many forms. It is not always perceived as material abundance. But as I said: the time will come when life will no longer be separated into material and spiritual. This manifestation of the One, of unity in I Am, devoid of the separation of matter and spirit, is what will bring abundance in all forms. HOW WILL THE WORLD BE AFTER ASCENSION? 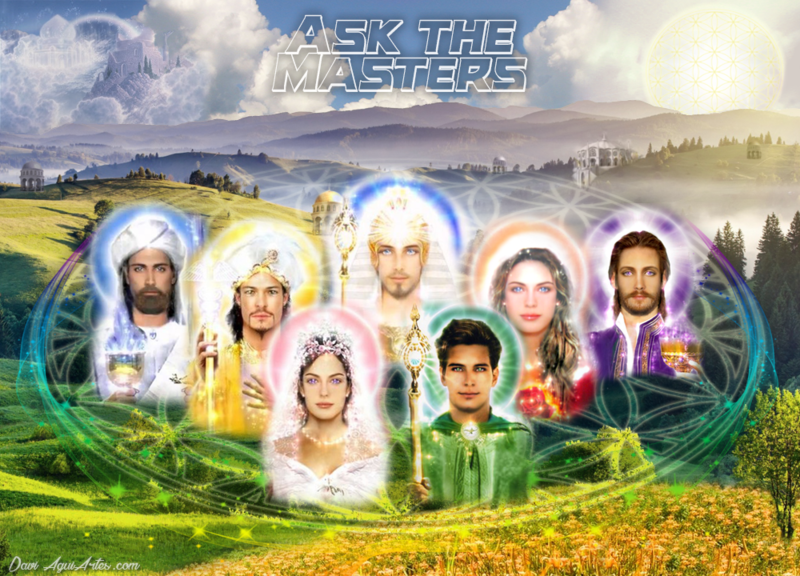 Dear Ascended Masters. I have heard about news and messages about the earthly ascension for a long period of time. The messages seem to say about the future or rising, electricity will not be used, so the electrical appliances, kitchen appliances, even the computers and PCs we use now will become obsolete or become junk? Also, since current e-book books or digital books are popular, if computers and electricity are not used for future ascent, then information from these e-books cannot be retrieved and read. If we cannot open these e-books with electricity and computers, knowledge and vital information within the e-books will be lost. How to solve this problem? In the future will we have books, such as things to store knowledge and information? Moreover, I have heard that time is illusion and in the future ascension, Mother Earth will no longer have the time and I would like to ask if in the future, all the clocks that we now use become useless and even worthless? Because time is illusion. Furthermore, what are the explicit, superficial and implicit meanings, internal and occult, of the years 2017 and 2024? What are the main things going to happen in those years? Could you tell us more about it? I would like to receive your most concrete answers to my various issues listed here. 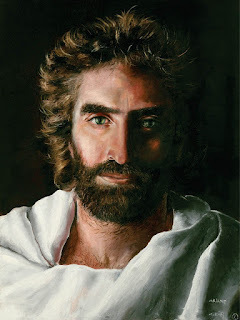 My thanks to the Ascended Masters. Namaste! Son, the question that comes back to you is: Does any of this question really matter? Are all this information, questioning, and doubt, in fact, important to a planet that ascends to a more subtle vibration level? Look for more information about the inhabitants of Shamballa, my dear son. There is a representation of how your planet will be in a more subtle vibrational state. The questions that exist today, son, will be the first to disappear. And then everything else will still matter less, since a higher vibrational state allows communication and access to all the information contained in the planetary and individual akashic records all the time in free form. There is no need to be bombarded with as much information as it does today. Your consciousness will access only that which is of importance for your upliftment and growth. So it can be done today, my son, and it is already done in fact by many of your brothers. From the moment you connect with your consciousness, and thus open access to the infinity of information contained in your soul records, you will have no doubts about how planetary change will take place. Change, son, is something you will feel, that you will live. So, more important than having your questions answered, son, is to give yourself to the connection with your consciousness, and allow yourself to feel what the ascension state is. You will find this path, like all others, when you silence the mental process. Thus will the planetary ascension take place, where time no longer exists in the way they understand, because the information arrives in the same way as it does, and is transmitted when and if necessary, in a quantum form, and there is no need for many processes that you live today. But all this, son, is already available for you to try. For the subtler vibrational state is experienced and lived in any environment, and can be lived in the now.